Born in 1940 in the Netherlands, she received a BA from Leiden University in 1962 and an MA from Yale University in 1965. She worked for the Lenox Hill Neighborhood Association from 1962-1965, for the Centre for Environmental Studies in London from 1972 - 1975, and from 1976 -80 for the Institute for Architecture and Urban Studies as Administrative and Development Director. In 1980 she became the Executive Director of the Lower Manhattan Cultural Council until 1986. She was Director of the MacDowell Colony in New Hampshire in 1987-1989, and The Skowhegan School for Painting and Sculpture in Maine 1989-1991. She organized numerous exhibitions for institutions such as the Museum of Modern Art ("Deconstructivist Architecture") with Philip Johnson, the Sculpture Center and private galleries, as well as three 55 Ferris Street exhibitions in Brooklyn. 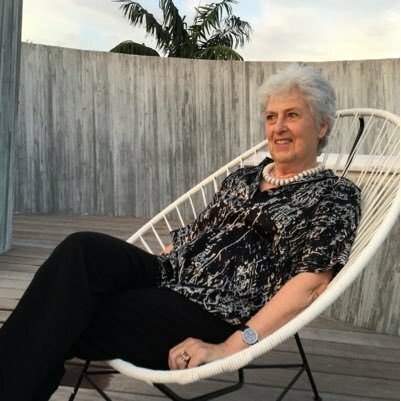 In 1993 she opened her gallery, then called the TZ'ART gallery, in Soho, which became the Frederieke Taylor gallery when she moved to Chelsea in 2001. She is past President of Art Table, and currently President of the Meredith Monk House Foundation, and on the Board of Art In General, the Lower Manhattan Cultural Council, and on the Advisory Committee of the Storefront for Art and Architecture and Franklin Furnace Archives. Frederieke will be recorDing her life story with her daughter on the premises of sanctuary.